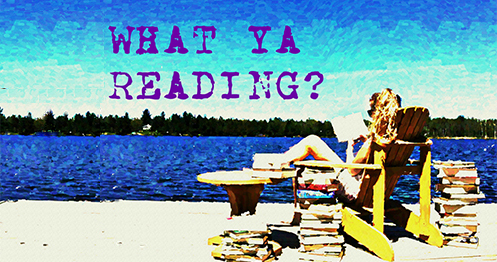 Falling for Hadie: Review and Giveaway | What YA Reading? 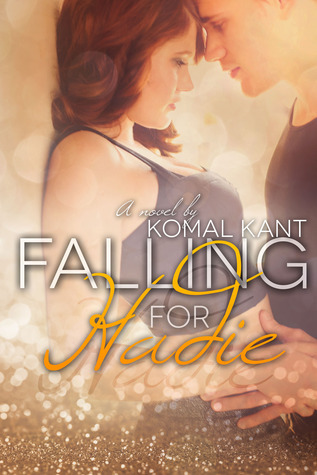 Falling For Hadie by Komal Kant. CreateSpace. 316 pages. Available as paperback or e-book. Running away from his old life in New York City, Lincoln Bracks ends up in the small town of Statlen, Iowa. He isn’t interested in making friends or getting to know anyone. He just wants to keep his head down and disappear amongst the crowd. That was the plan anyway, until he meets Hadie Swinton. Nursing a broken heart and the realization that the boy she’s loved her entire life isn’t Prince Charming, Hadie is set against ever falling for the same type of guy again. But when new boy, Lincoln, arrives in town, she discovers that this is easier said than done. Hadie assumes that Lincoln is a typical arrogant jock—he is good-looking, confident and charming—but when he doesn’t do anything she expects him to, she is intrigued by him against her better judgment. There is definitely more to Lincoln than just a pretty face, but Lincoln is hiding something that he doesn’t want anybody to discover because when they do, they will never look at him the same again. Falling in love was the last thing Lincoln wanted to do, so how will he convince himself to fall out of it? First of all, I’d like to thank TBG Tours for including me in this one. Blog tours are honestly one of my favourite parts of blogging, be it because of the freeby books– as if you could go wrong there– or the super awesome people I get to deal with. So thank you, Naiche! To begin the review, I read Falling for Hadie in 24 hours, and therefore claim all rights to describing it as one helluva beach read. Was it short? Yes. Predictable? Oh, yes. Romantic? Deliciously. I’m lucky that my PC’s Quadro-Core processor was able to keep up with my zealous reading. And, sure, I rolled my eyes through about half of it– instantaneous, melodramatic love tends to bring that out in me– but once Falling for Hadie hit the halfway point, things got serious. And I got invested. Unfortunately, the fruits of my investment’s labour bore only sorrow. Because, man, was this book a tear-jerker. I mean, come on, Ms. Kant, don’t you know that we teenagers already have enough to deal with, what with our raging hormones and dramatic high school lives? Oh, sweet tears! How thou doth render me blind to Hadie and Lincoln’s true and luscious love! 1) Girl: Damn, is this guy a hottie! Boy: This girl is super freaking attractive! She’s unlike anyone I’ve ever known. 2) Boy: You should stay away from me… I’ve got some serious issues with which I haven’t yet come to terms. I’m *sigh and dramatic, brooding look* no good for you. Girl: Don’t tell me to stay away from you! I love you, Edward, and love conquers all! 3) Boy: Oh, okay. Let’s hook up, then. Girl: For sure, pretty boy. I mean, am I the only one who felt uncomfortable before Lincoln’s dirty little secret was revealed? He came across as a bona fide psychopath, and Hadie came across as a naive, hormonal teenage girl. When people cast tormented looks in my direction and seductively tell me to stay away, I don’t make a move on them. I run like hell in the other direction. I’m giving Falling for Hadie 2.9/5 stars. It was entertaining, albeit typical and teary, and the perfect study break for my intensive–exhaustive– exam prep. Please note that this giveaway has three winners, but is only available to US residents. Komal Kant is the author of IMPOSSIBLE, FALLING FOR HADIE, and the upcoming WRONG SIDE OF TOWN. She currently lives in Sydney, but wishes she lived all over the world. You can tell she is weird because her days are filled with talking to imaginary characters and trying to justify choosing Stefan over Damon. 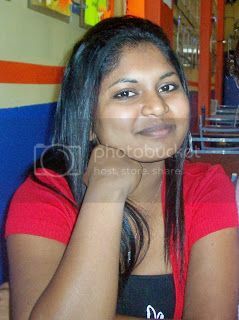 Komal talks too much, laughs too loud, sings out-of-tune, and generally says inappropriate things at appropriate times. She is not-in-a-creepy-way obsessed with blood and gore, so The Walking Dead is probably her favourite show at the moment. She is overly enthusiastic about video games, Spiderman, Batman films, Byronic heroes, horror movies, baking, and pretty shoes.